A number of opportunities to support this important conference are available. Packages have been designed to meet all budgets. A limited number of exhibition spaces are also available. 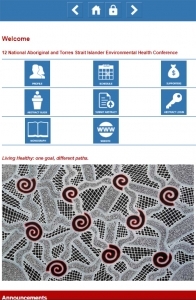 Supporting or exhibiting at the conference is a cost-effective means to promote your products and services to a large number of environmental health practitioners from all states of Australia who are employed in the Aboriginal and Torres Strait Islander environmental health space.